Offering you a complete choice of products which include ceramic core winding machine, stator winding machine, mini armature winder, multi coil winder, flexible strip winder and multi coil winder machine. 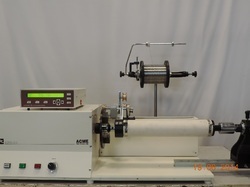 ACME Electronics manufactures and supplies wide variety of coil winding machines to wind coil over the bobbins and toroids. 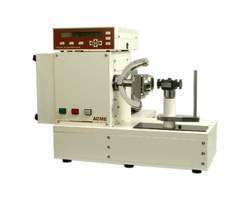 Alongwith these machines it also supplies to wind coils on ceramic cores and this can be on as small diameter as 3mm to as big diameter as 100mm. The wire size can range from 55guage to 15 guage. 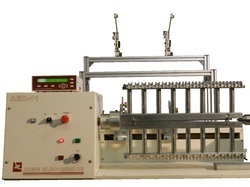 This machine are used to wind wire wound resistors of any wattage alongwith reostate, variable wire wound resistors or resistor banks alongwith high density cartidge heaters. Please visit our website acmeengg.com or contact us with your winding details like ceramic core length, wire size and ceramic core diameter. 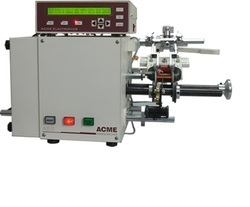 Acme Electronics manufacture Spiral Winding Machine that can be easily programmed to wind continuous length of resistance element on various cores like fibre, wire, etc. This winding machine is broadly appreciated for its consistent performance and speedy operation. Acme Electronics along with linear or bobbin and toroidal coil winding machines manufactures wide variety of special application coil winding machine which includes Spiral winding machine for heating element. Other special application winding machine includes high density cartridge heater coils and spiral winding machine for heating industries, long axial winding machines for wire wound resistors, armature winding machines for miniture motors, R-Core transformer winding machines, flexible strip winding machines for potentiometers, etc. that are having programmable features for various control of machine. Also We offer wide variety of optional accessories to be used with our standard coil winding machines to achieve winding for special coils. For any special winding application Acme Electronics specialists in designing and manufacturing of coil winding machines since two decades. 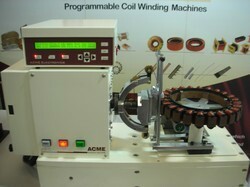 Acme Electronics along with linear or bobbin and toroidal coil winding machines manufactures wide variety of special application coil winding machine which includes Flexible strip Winding Machine for heating industries to wind wire on mica flat strip or to wind wire on any flexible strip. Other special application winding machine includes high density cartridge heater coils and spiral winding machine for heating industries, long axial winding machines for wire wound resistors, magneto coil winding machine for automobile coils, armature winding machines for miniture motors, R-Core transformer winding machines, flexible strip winding machines for potentiometers, etc. that are having programmable features for various control of machine. Also We offer wide variety of optional accessories to be used with our standard coil winding machines to achieve winding for special coils. For any special winding application Acme Electronics specialists in designing and manufacturing of coil winding machines since two decades. 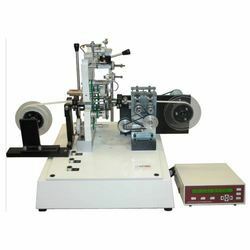 Acme Electronics along with linear or bobbin and toroidal coil winding machines manufactures wide variety of special application coil winding machine which includes R-Core transformer winding machine. Other special application winding machine includes high density cartridge heater coils and spiral winding machine for heating industries, long axial winding machines for wire wound resistors, armature winding machines for miniature motors, Magneto coils winding machines for automobile industries, flexible strip winding machines for potentiometers, etc. that are having programmable features for various control of machine. Also We offer wide variety of optional accessories to be used with our standard coil winding machines to achieve winding for special coils. For any special winding application Acme Electronics specialists in designing and manufacturing of coil winding machines since two decades. 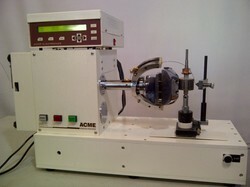 Acme Electronics manufactures and exports wide range of winding machines for bobbin and toroids. 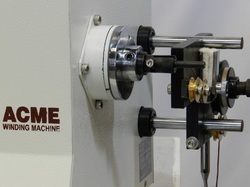 Apart from linear and toroid winding machines Acme (acmeengg.com) offers Magneto Coil Winding Machines to wind automobile magneto coils having maximum diameter upto 225mm with upto 24 poles with wire as thick as 18guage. This machines are programmable with various parameters like winding direction, indexing, pitching, no. of turns, speed, etc. Two different models are available depending on the wire size. For more details please send us inquiry with stator details like no. of poles, diameter of the stator and wire size. 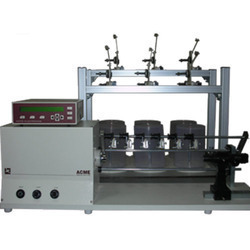 Acme Electronics manufactures programmable Voice Coil Winding Machine or Speaker Coil Winding Machine with programmable features which helps to wind precise turns per layer. The machine is offered with special wire guide to hold the liquid through which the self bonding wire passes to produce voice coil with self bonding wire. The machine can produce voice coils upto maximum diameter upto 6 inch or 150mm. Machine is supplied with all required accessories and also Acme Electronics acmeengg.com provides service of manufactuirng tooling for various size of coils for instant loading and unloading of coils. Please contact us at acmeengg.com alongwith your requirements. 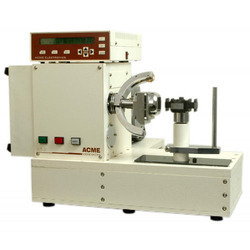 With more than 30 standard models, Acme Electronics offers exclusive Choke Winding Machine for magnetic choke used in luminary industries including various sodium and mercury tubelight choke. This winding machine are used for open type coke with and without interlayer insulation papers and are carefully manufactured under the fruitful guidance of our experts with the use of qualitative components and advanced machinery in accordance with set industry standards. 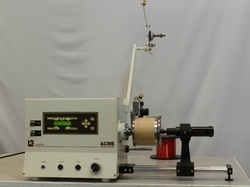 ACME Electronics designs, develops and manufactures choke Winding Machines for multiple coil with single width insulation paper which are later cut to increase the production. Multi coil machine are also been used with open type coils without paper insulation and upto 6 coils can be wound at a time. 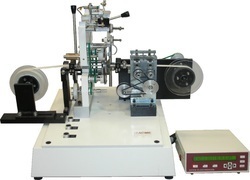 Multi coil winding machine can handle wire from 0.06mm to 2.00mm, coil diameters upto 100mm and winding lengths upto 70mm with auto layer stop facility. Machine comes with all required necessary accessories. 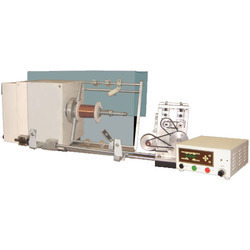 This range of winding machine are specifically for multiple coils on single spindle and can be used for luminary choke winding and high voltage coils with interlayer insulation. Looking for Special Purpose Winding Machine ?